PORT are pleased to welcome Zander Fagerson as our new Patron!! 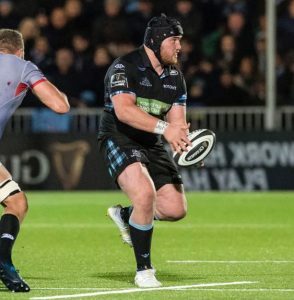 Zander Fagerson is a Scottish International rugby player who plays for Glasgow warriors. 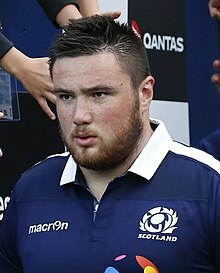 Zander made his debut for Scotland in the six nations match against England at Murrayfield on 6th February 2016. Zander has supported PORT to date by donating signed rugby sportswear for auction. Zander had never heard of the illness Chronic Intestinal Pseudo Obstruction (CIPO) until he met Louise MacDonald, and her mum Carole who told Zander there is no cure. ‘For me personally I think that’s unacceptable with the level of expertise in medicine. To then see Louise at the rugby, and how happy she was there, supporting Glasgow and Scotland, forgetting about her condition and enjoying the day really got to me. This is why I am proud to become a Patron/Ambassador for PORT. I may not be able to find a cure, but if I can raise a bit of awareness or get a few more sufferers to a rugby game and try and give them some relief , however small, I would feel I was making a difference.